Gelfand Partners Architects renovated a turn-of-the-century landmark building in San Francisco into Kelly Cullen Community - a modern housing project that offers 172 units with state-of-the-art sustainable systems. The architects upgraded the former Central YMCA building with hydronic radiant panel heating, energy efficient lighting, highly insulated walls and water-saving fixtures, and the completed project offers a common ground floor, a gymnasium and a rooftop lounge area. 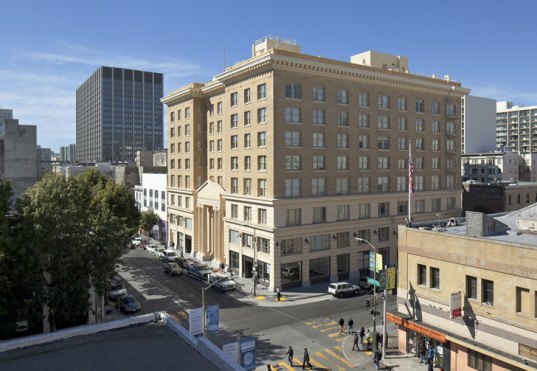 The landmark building was constructed in 1910 following the 1906 earthquake. Kelly Cullen Community‘s 172 new housing units are larger than the original hotel rooms at 230 square meters on average, and they feature private baths and compact kitchenettes. The building offers supportive housing units as well as a 11,000 square foot Federally Qualified Health Center on the ground floor. 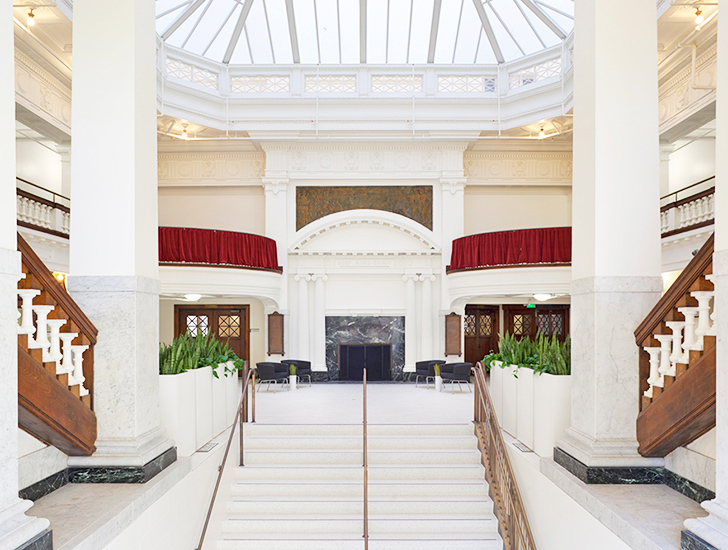 Its main stair was reconstructed to resemble the original, while the 2nd floor now houses community functions reserved for the tenants. Squash courts on the 8th and 9th floors were removed and new housing units were inserted. A staff lounge and tenant lounge are situated on the roof. Looking at the exterior, one would hardly assume that the building boasts a broad range of sustainable strategies – energy-efficient lighting, water-saving fixtures, highly insulated walls and double-pane glass, HVAC systems with economizer cycles, etc. The Tom Waddell Urban Health Clinic on the ground floor received LEED CI Gold Certification. Kelly Cullen Community's 172 new housing units are larger than the original hotel rooms at 230 square meters on average, and they feature private baths and compact kitchenettes. The landmark building was constructed in 1910 following the 1906 earthquake. The main stair was reconstructed to resemble the original, while the 2nd floor now houses community functions reserved for the tenants. Looking at the exterior, one would hardly assume that the building boasts a broad range of sustainable strategies . Squash courts on the 8th and 9th floors were removed and new housing units were inserted. The building features energy-efficient lighting, water-saving fixtures, highly insulated walls and double-pane glass, and HVAC systems with economizer cycle.